Executive Chef/Food and Beverage Director, Justin Hunt, brings a wealth of culinary successes to the Mills House Wyndham Grand. An outstanding career has come full circle after growing up on Long Island, attending the College of Charleston and The Art Institute of Charleston, and now at the Mills House. His journey has included successes in Manhattan as Chef de Cuisine for Celebrity Chef Bobby Flay’s Bar American and working in Northern California at Thomas Keller’s French Laundry. Justin blends his Southern culinary beginnings with unique and high-end experiences from coast to coast. 1) Where were you born and raised? (2) How long have you been a chef? (3) How did you get into cooking? I went to College of Charleston for business but was not very dedicated to school. I basically “enjoyed” Charleston for a year until I realized I had run out of money and started working in restaurants. A year later my grades were terrible because I was having more fun working then going to school so I switched to culinary school and the rest is history. (4) Who has most influenced you? I grew up on Long Island and both of my parents worked at Belmont Racetrack. My father is still a veterinarian there for the racehorses and my mother used to own and operate a cafeteria in the barn area called the Frenchman’s Kitchen. I have worked just about every job you can imagine on the racetrack starting from when I was about 12, but the fondest memories I have are going to work with my mom every Saturday from when I could barely walk. I was always fascinated with the kitchen but I think the larger draw was all the different people and personalities that made up that or any restaurant. I mean that was 25 years ago, and I was about eight, but I remember the time that I spent there like it was yesterday. So long story short I would say that my mother, Carol, and the Frenchman’s kitchen had the most influence on me. (5) What has been your career path, including education? I transferred from College of Charleston to the Art Institute of Charleston in 2006. I worked full time as catering chef/restaurant manager at a small outfit called Granville’s. I worked there all through school and a while after. I learned a lot about the industry from the owner, Trae Wilson. After a couple of years I decided to move back to New York to gain some more experience. I started out a friend’s hotel in Montauk called Sole East. I spent one summer out there and it was a blast, but it was a seasonal place and not somewhere I was going to be able to stay and learn. After a failed journey to Nebraska of all places (long story, ex girlfriend…) I wound up line cooking at Bar American, Bobby Flay’s Midtown Manhattan restaurant. In a little over a year I climbed the ranks to Chef de Cuisine and stayed there for 3 years. The business we did there was incredible and it operated like a well oiled machine, which taught me a lot. Being it was Flay’s restaurant, there wasn’t a whole lot of artistic freedom so I had him make a phone call for me and got myself a stage at The French Laundry. I got the job and worked my way up the line until they closed for their kitchen renovation. After spending a year in Napa, I realized that I missed the East Coast and especially Charleston so I packed my things, for the last time I hope, and moved back to the Low country. I worked at Macintosh for about a year and then an opening for Executive Sous Chef came available at The Mills House. I was made Executive Chef in 6 months and then a year later I was promoted to Executive Chef – Food and Beverage Director. (6) What is your restaurant like? 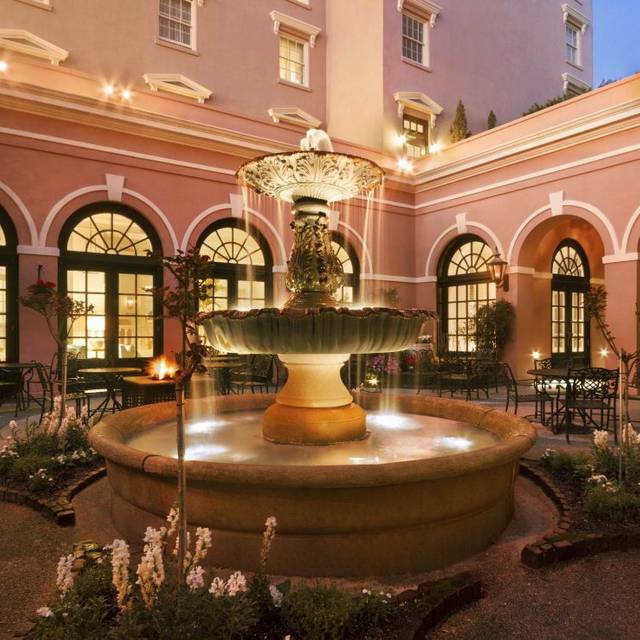 The Mills House Hotel is a historical monument in downtown Charleston that anyone who has lived here for any amount of time can relate to. Whenever I am conversing with visitors and locals alike, they constantly tell me how someone they know had either gotten married here or used to frequent us for brunch. 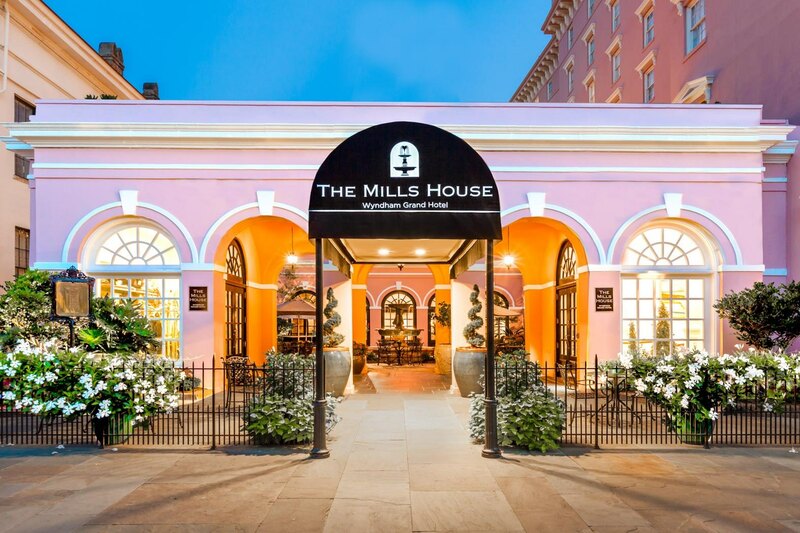 With such a boom in the Charleston food scene, The Mills House had taken a few steps backwards over the years as the cuisine did not exactly keep up with the times. Over the course of the last 3 years our team has done an amazing job of getting us back to where we need to be. We serve a version of refined southern food with the influences of the places that myself and my chefs have worked. (7) What do you like most about being a chef at this restaurant? I am given a great deal of freedom with the restaurant. Our management core is one that’s built on open communication and trust. We all seem to be moving in the same direction, which is not easy to do, especially in a hotel. That being said, the ability to change and try different things and being encouraged to do so is something I cherish about my job. (8) What is the most challenging part of being a chef? As with any job I have ever had, whether it be food and beverage or not, the most challenging thing has always been managing all the different personalities. Restaurants are one thing, but in a hotel there’s even more moving pieces where every decision that is made affects someone else. (9) What does it take to become a great chef? Most people will say work ethic but that’s obvious. To be a great ‘anything’ you need work ethic. I think in order to be a great chef the most important thing is the people around you. Nothing in this business can be done alone. You always hear these stories of the amazingly talented chefs who can prepare the best food you have ever eaten, however their restaurants and kitchens fail or are miserable to work in. Being able to gain people’s respect and trust is something that takes a lot of time and patience but is vital to a restaurant’s success. It also makes it possible for days off. (10) What is your favorite meal? Either Ramen, or a grilled cheese with tomato soup. (11) What do you do in your free time? Spending time on the water with family, friends, and dogs. (12) What has been your experience with Jurgielewicz Duck? I first started working with Dr. Joe’s two years ago at Charleston Wine and Food festival. We were doing an event that they sponsored and I was really taken aback with the product. From that day forward it has been the only duck we use at the hotel. We always get in whole birds and break them down. We brine and smoke the breasts to make “duck ham” for our charcuterie boards, we use the organ meat in our pates, the bones go to duck jus, and the rest we confit. All of the trim gets melted down for duck fat which we use to confit our chicken wings. The quality of the product really shows with its versatility. These birds take a little extra care and technique to work with but the natural flavor and fat shines through. It has been a great pleasure working with Dr. Joe’s and it will remain the only duck we serve at The Mills House. Thank you, Chef Justin, for taking the time out of your busy schedule to tell us more about you and your historic restaurant! Best of luck this season!